Subsequently, mariners sometimes adopted the phrase “there might be dragons” if they became concerned for their safety when in unfamiliar waters. It’s now an archaic saying, yet it’s even more applicable today than in times of yore. There are literally millions of people (particularly in the EU, the U.S. and Canada) who are fearful that their country of residence is becoming increasingly less free and less safe for themselves and their wealth. Some are looking into the prospect of internationalising themselves, but a much smaller percentage actually takes the plunge. Why should this be so? Well, as in centuries past, for many, the reason is that…there might be dragons. I don’t know anything about internationalisation. I wouldn’t know where to begin. You’ve already begun. Follow the International Man website. It has over five years of archived articles that cover virtually every aspect of internationalising. In addition, obtain a copy of Casey Research's Handbook for Surviving the Coming Financial Crisis. Go online to research destinations that fit your personal situation. Then, instead of taking a holiday at Disney World, go to a country that seems to you to be the likely best choice for either a second home or a complete change of national residence. You’ll be amazed at how extensive and varied the opportunities are out there. Won’t I just end up as a slave to a different country instead of my home country? Not if you choose your destination well. Many countries are far less invasive to your freedoms and wealth than the three jurisdictions mentioned above. Some, in fact, are just as prosperous and well developed as your present country, yet have zero direct taxes. In addition, should you choose to live in multiple destinations, you’ll be less “owned” as a visitor or temporary resident than if you were a full-time resident and citizen. Will I have rights there, since I’ll be a foreigner? For those countries that fall under English common law, your rights will be almost identical to those of the locals. (This is less true in countries that come under civil law – notably Spanish America and much of Europe.) However, most everywhere, you will be regarded as a guest and, in many ways, be treated better than locals. In some countries, you will be treated better by both locals and the government than you were at home. Will I have to learn a new language? Yes or no, depending on your choice of destination. For anywhere in Central or South America (except Belize, Suriname and Guyana), yes. For the Caribbean, Australia, New Zealand, Canada, Ireland, the UK and many Pacific islands, English is the primary language. In many other countries – Israel, the Philippines and most of Europe – English is spoken by a majority of residents. Your choice of destination may, in part, depend on your ability (or willingness) to learn another language. What if I can’t find any friends? Most choice destination countries already have entire expat communities. However, many who expatriate themselves find that they prefer the locals and choose to live in either integrated communities or predominantly local communities. If I cash out here, my funds to start over elsewhere might be limited. How can I be sure that I’ll be able to afford to live there without giving up my lifestyle? What if I’m unhappy there? It’s a big world. There are many other choices and your first stop needn’t be your last. However, if you do your homework well before going, you’re likely to pick more wisely the first time out. Bill Bonner is days away from investing $250,000 of his family money in one stock. Click here to learn more. Nervous about the markets? Read this immediately. We are in the midst of the greatest financial experiment in history. But there’s one speculative investment you can make right now to hedge your portfolio and potentially see gains of 500% or more in the coming years. (Hint: It’s NOT physical gold or silver bullion). Click to learn more. What if I decide I want to go back? Some people (but not many) do make that choice. But they then find that any government that wants your money is more than happy to take you back. (Governments have no objection to wealth coming back in; they only try to stop it going out.) Even those who renounce their citizenship often find that they’re welcomed back into their first country, either on a visa or by reinstating their citizenship. However, the great majority, having succeeded at internationalising, never choose this option. Many people fear perceived dragons when considering internationalisation. In doing so, they often overlook the very real dragon that’s creeping up behind them – the dragon of a declining world power that’s compensating for its decline through overreach – increasing taxation, removal of basic freedoms, an increasing police state, plus ever-expanding capital controls and governmental surveillance. As the situation worsens, the known world may well become more threatening than the new one. The Middle Ages came to an end in part because new lands were discovered to the west by the mariners. Many people opted to stay put, for fear of dragons. 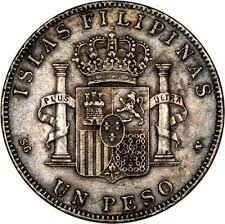 Others opted for the slogan found on the reverse of Spanish coinage at that time. The two pillars on the coins represented the Straits of Gibraltar, and the slogan on the pillars – “PLUS ULTRA” (“More Beyond”) – signified a whole world apart from the old one, with new opportunities. Editor’s Note: If you’re alarmed by the growing threat – from your own government – to your financial health and personal freedom, I can’t blame you. You’ve seen the crowded parade of new laws, taxes, and regulations recently passed or now in the works. While many of those measures seem small, together they threaten to clog the arteries of the economy. Prospering – or just holding on to what you already have – won’t be easy. In fact, I’m afraid that as financial resources shrink and government deficits rise, the grab for money will become more desperate. Governments will go beyond taxation and reach into retirement funds and into depositor accounts at banks to ask for help. Events around the world show that capital controls, income tax hikes (to rates as high as 75%), debt monetization, nationalization of private pension vehicles, bail-ins, bank deposit confiscations, and other futile but destructive options aimed at your money will be used by cash-strapped governments. No matter how well-protected your government tells you your money is, how comfortable can you really be if it’s all in one country? 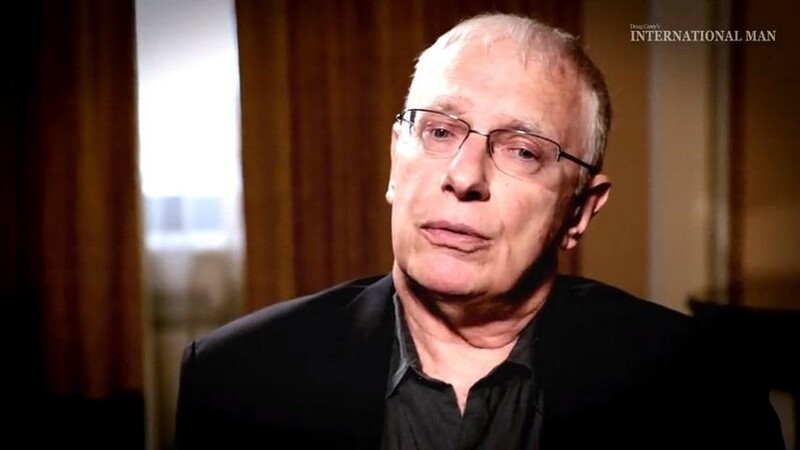 Doug Casey has said over and over that spreading your political risk beyond one jurisdiction is the single most important decision you can make today. 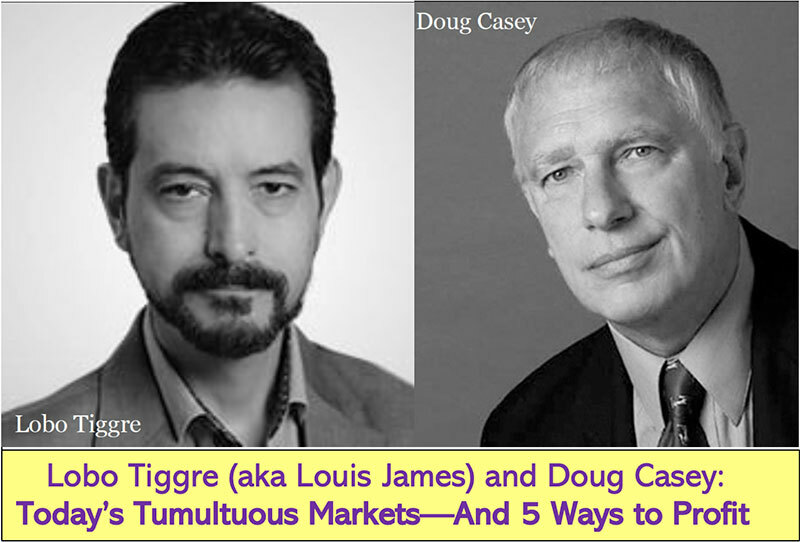 It’s safe to say that there’s probably not another American alive today who knows more about international diversification than Doug Casey. It’s all about making the most of your personal freedom and financial opportunity. Doug Casey’s latest video will show you exactly how you can do just that. Click here to watch it now.